'MediaBuzz' host Howard Kurtz weighs in on President Trump's combative relationship with the new media. President Trump castigated The New York Times and Washington Post yesterday, dusting off his "enemy" rhetoric in the seemingly endless war with his two most aggressive newspaper adversaries. The two situations could not be more different. In his broadside against a lengthy Times report on the Russia investigation, the president chose a general denunciation, rather than specific denials, and said one thing that turns out not to be true. In cheering on a Covington high school student’s $250 million lawsuit against the Post, Trump is seizing on the paper&apos;s initial reporting on the clash at the Lincoln Memorial last month, which was badly flawed. But that doesn&apos;t add up to a successful lawsuit. "The New York Times reporting is false. They are a true ENEMY OF THE PEOPLE!" I&apos;ve said from the beginning that Trump has every right to hit back against what he sees as unfair reporting — but that such rhetoric, implying treasonous behavior, goes too far. In a second tweet clearly inspired by the Times story, the president says: "The Press has never been more dishonest than it is today. Stories are written that have absolutely no basis in fact. The writers don&apos;t even call asking for verification." "I sent several emails that went unanswered until yesterday. We went through a detailed list of what we were planning on reporting. They chose not to engage, and afterwards, the president acts surprised." In response to Trump&apos;s charge, Publisher A.G. Sulzberger said that "in demonizing the free press as the enemy, simply for performing its role of asking difficult questions and bringing uncomfortable information to light, President Trump is retreating from a distinctly American principle ... The phrase &apos;enemy of the people&apos; is not just false, it&apos;s dangerous." The Times also said that as part of his effort to oust then-Attorney General Jeff Sessions, Trump asked Corey Lewandowski to pressure Sessions to resign. Neither Whitaker nor Lewandowski seems to have done anything. And the piece describes Trump changing his instructions to Sean Spicer to describe how Mike Flynn was forced out of the White House. While Trump is castigating the Times, I&apos;ve seen no specific denials that challenge what the paper reported. Meanwhile, Nick Sandmann, the Covington teenager who was unfairly maligned by the media mob, has filed a lawsuit against the Post, accusing the paper of bullying him for political reasons. Quoting from the lawsuit, Trump tweeted: "&apos;The Washington Post ignored basic journalistic standards because it wanted to advance its well-known and easily documented biased agenda against President Donald J. Trump.&apos; Covington student suing WAPO. Go get them Nick. Fake News!" The suit, brought by lawyer Lin Wood, says: "In a span of three days in January of this year commencing on January 19, the Post engaged in a modern-day form of McCarthyism by competing with CNN and NBC, among others, to claim leadership of a mainstream and social media mob of bullies which attacked, vilified, and threatened Nicholas Sandmann, an innocent secondary school child." While the initial reporting by the Post and others was seriously flawed, charges like "McCarthyism" are way off base. 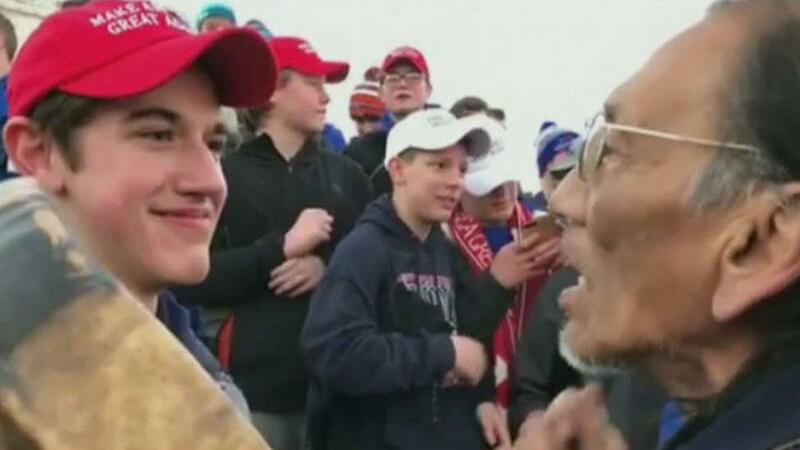 In the first couple of days, the Post relied too heavily on an edited video that was misleading, and on an interview with Nathan Phillips, the Native American activist who confronted Sandmann, and who said things that were untrue and kept changing his story. Such media accounts did galvanize a social media explosion that unjustly crucified these Catholic kids, some of them wearing MAGA caps. But that doesn’t necessarily mean a courtroom victory. It&apos;s highly unfortunate that the paper wasn&apos;t able to interview any of the students. But as for getting their side, the students&apos; own school and diocese said in a joint statement that "we condemn" their behavior, and warned that some might be expelled. The diocese later apologized. Even though much of the Post&apos;s reporting about Trump is negative, the first Covington story was written by three metro reporters covering a demonstration on deadline, not political reporters who cover the administration. Two days later, the Post reported that the story was far more complicated than originally reported, including slurs from a black activist group, and quoted Sandmann&apos;s first statement on the confrontation, made to the Cincinnati Enquirer. So it will be an uphill battle for Sandmann&apos;s parents, who filed the suit, to prove malice, as the legal papers claim. As for the eye-popping damages being sought, the suit says that $250 million is what Jeff Bezos spent to buy the Post — in other words, a symbolic figure. Trump ended one of his tweets by saying the press is "totally out of control. Sadly, I kept many of them in business. In six years, they all go BUST!" The president has indeed boosted clicks and ratings for his media antagonists, but that last sentence is wishful thinking.